First, this isn’t a political blog, but I am more than excited about SCOTUS’ decision to legalize gay marriage. It means a lot to many of my friends and family – congrats to all! 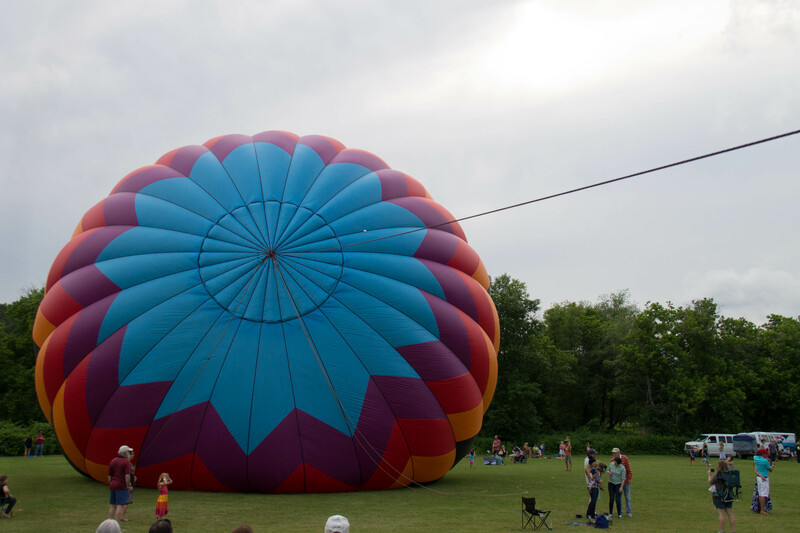 The balloon below is coincidentally, but celebratorily, rainbow colored. 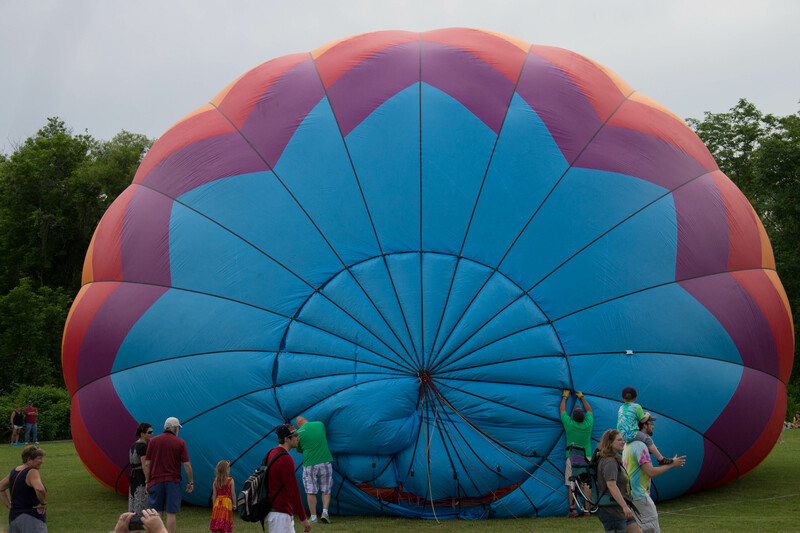 We made a weekend trip up to Quechee, Vermont for their balloon festival – unfortunately, the weather prevented safe balloon travel so there were no launchings, but it was still a fantastic adventure! 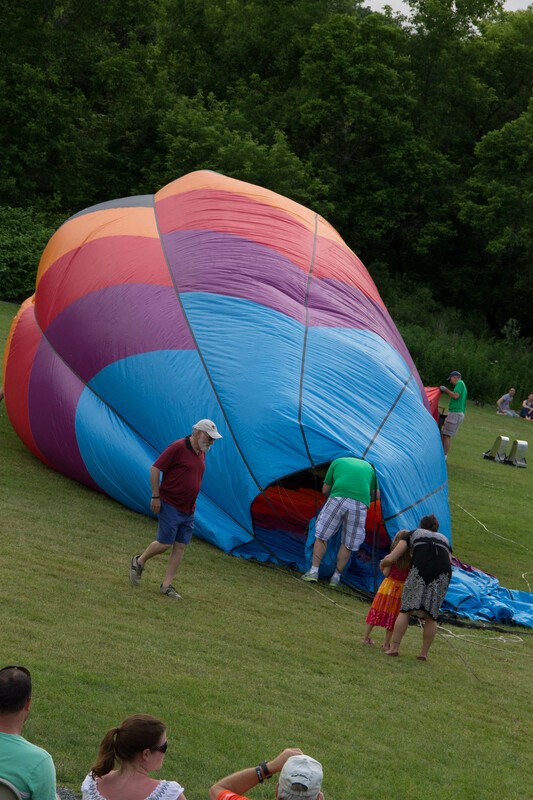 Then they finish inflating while people hold on to the tether lines and use them to walk it up. 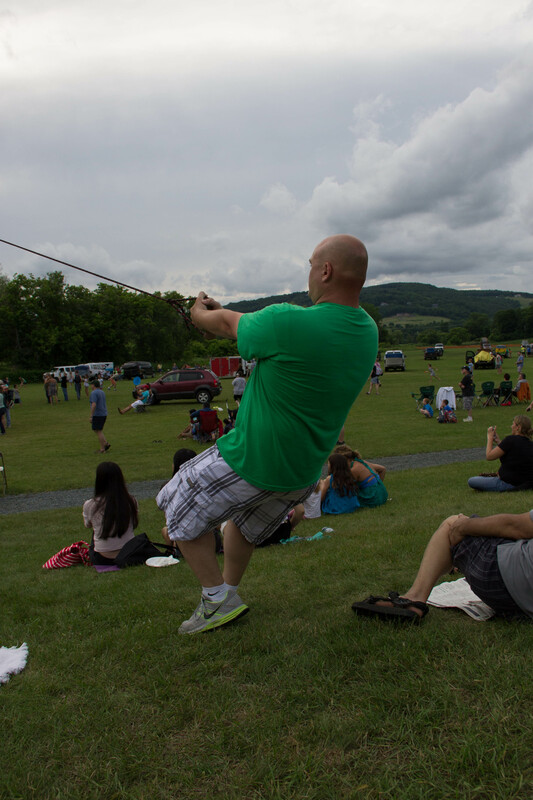 Walking the rope in – on the left-, until the balloon is fully inflated – on the right. 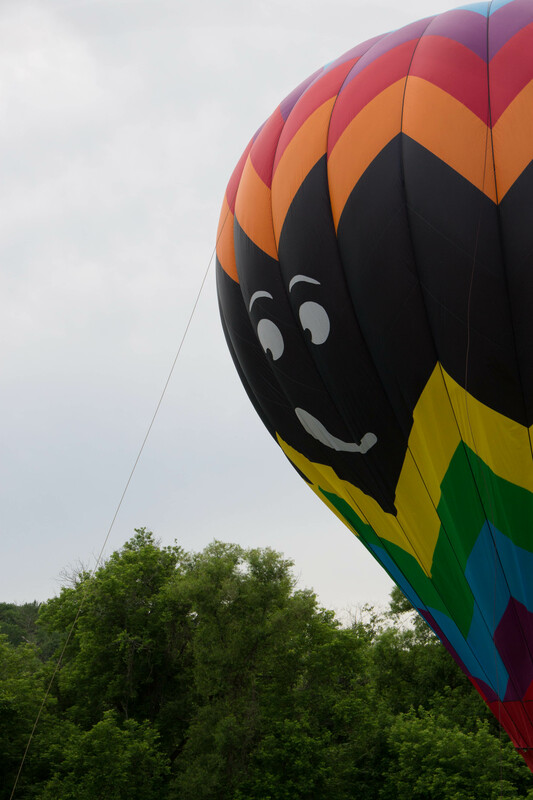 I love the skeptical smile on the balloon. 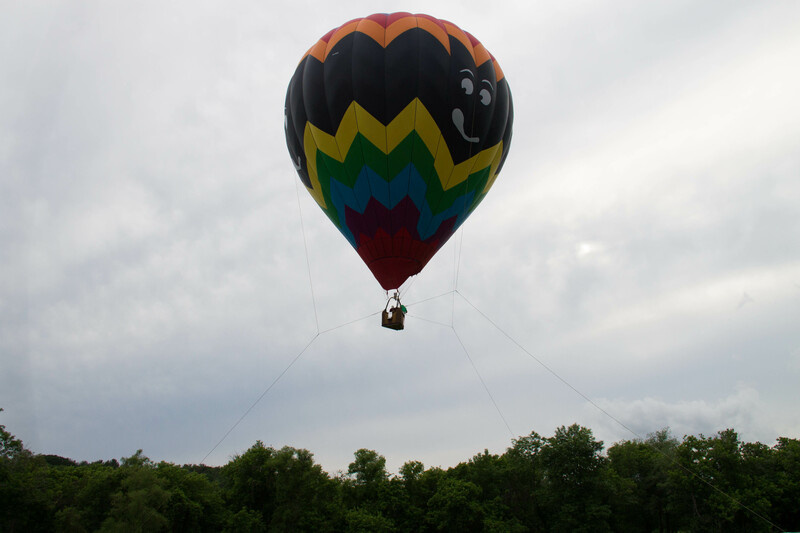 The tethered balloon rides – the only balloon that left the ground on Sunday. 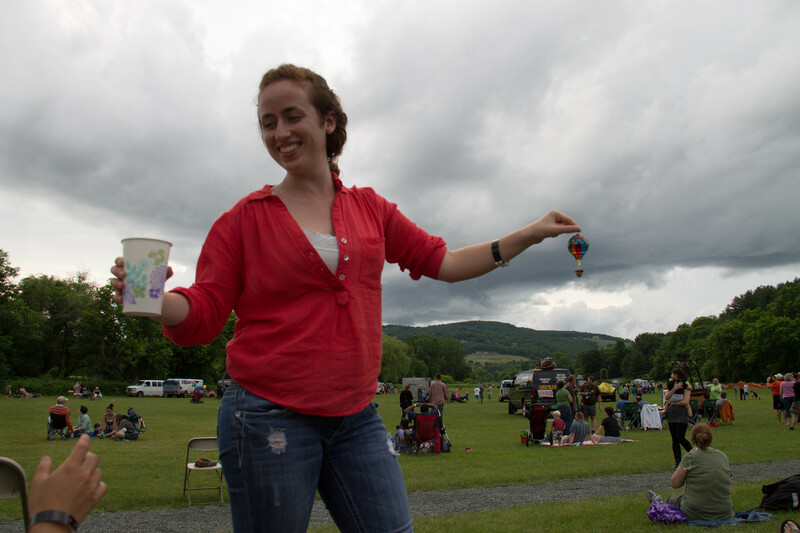 My roommate, drinking New Orleans style coffee and showing off her balloon trinket. 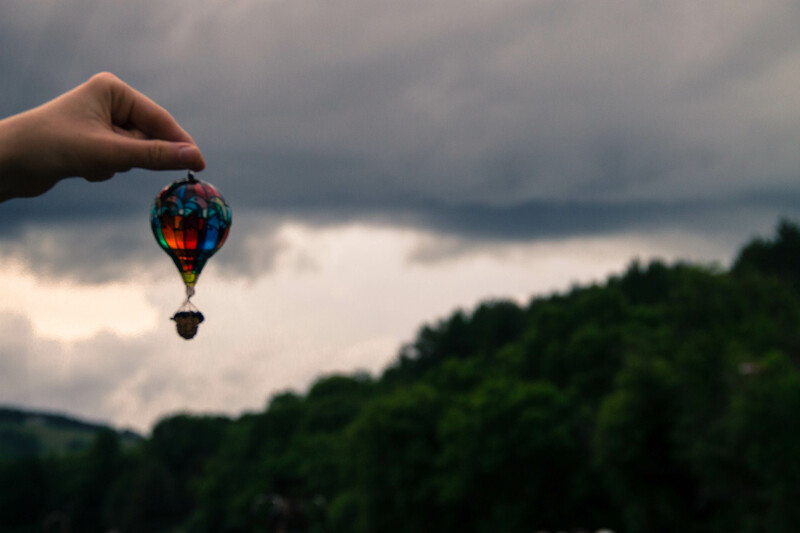 The aforementioned balloon trinket – so very pretty! 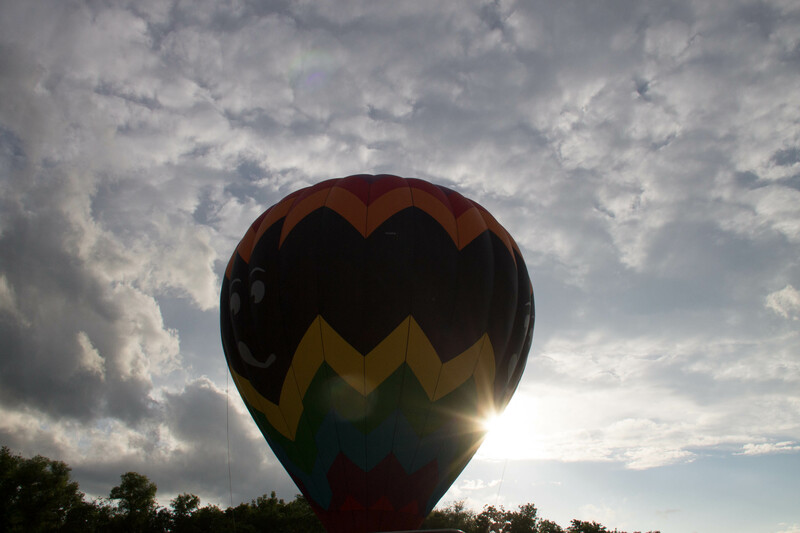 The sunset, the balloon, and off to the left, you can see the storm cloud that was preventing balloons from taking off. Quechee was lovely, and there was tons to do I didn’t photograph due to a camera malfunction – a lovely glassblowing shop/restaurant, beautiful scenery and paths to walk on, and a fun cheese and maple syrup farm (their words, not mine!) that had delicious cheese and syrup, along with lovely animals to pet and feed. It was a day trip well worth taking.